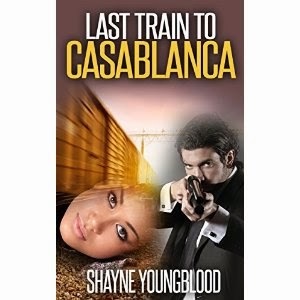 Shayne Youngblood's "Last Train to Casablanca" is the second novella in the Youngblood series. The novella revolves around Youngblood, who is now in Casablanca working for the leader of a human trafficking clan. Youngblood frees a young Indonesian woman to save her from being forced to work at a brothel, but when Youngblood's boss finds out, Youngblood is forced to retrieve her. Youngblood is faced with choosing between what he knows is right and what will keep him safe. The author does an excellent job of letting you see inside Youngblood's head, what drives him. The plot is paced well, with lots of ups and downs. I'd recommend this book to anyone who wants to read a thriller/suspense novella!